Education Game News. Maslow Pyramid. P42 Release date 05.06.2014 year. 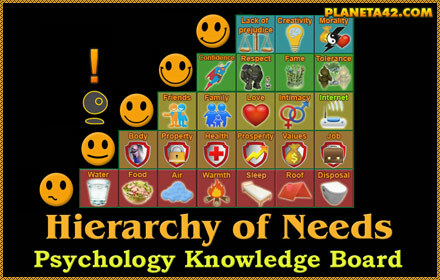 On focus the first Planeta 42 game in psychology category - Maslow Pyramid. according to Maslow we can not go to upper stairs without the lower ones.